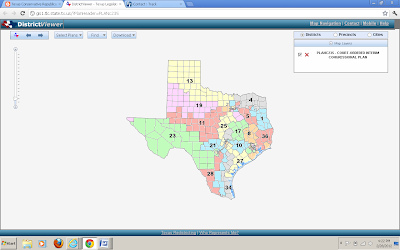 The San Antonio 3 Judge Federal Panel has released the 2012 Interim Maps for the Texas. 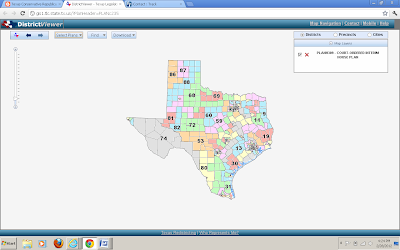 After Months of waiting as a result of a redistricting court battle, the people of Texas will finally know what Districts they will be in for the upcoming Congressional, State Senate, and State Representative 2012 Primary and General election. Counties and Candidates all across Texas will finally get to plan for their elections, draw county maps, file to run for office, send out voter registration cards, etc. Click on the Links Below to see the maps and see what District you will be in! No districts. Is this a scam? THIS SITE IS NOT WORKING PROPERLY!!!! Big thanks to all you "PEOPLE IN AUTHORITY" who bent Henderson County over a barrel. This map is a violation of our state constitution, but that's OK because the Feral oops Federal Government bestows its blessing on it.